He’s really enjoying that cheese! Cute shots! Wow! 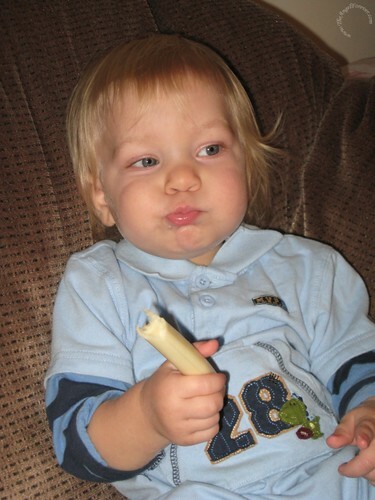 He is loving that cheese stick!! What a cutie!! Happy WW!! I love cheese too! Esp cheese sticks. It’s fun to try and make them last. Ha! Love the last one! 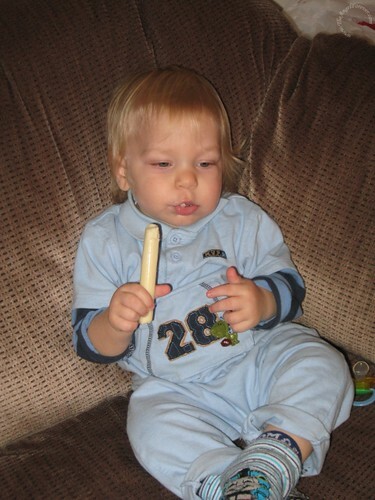 We’re a big fan of string cheese in our house too. What a cutie! We love Sting cheese here too! 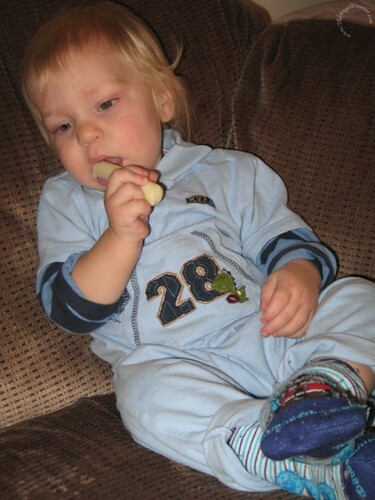 String cheese ROCKS. So do cheese curds. Cute photos! You asked over Facebook where I have prints made. http://www.mpix.com. They do amazing work! He is just too adorable. I love the last picture where his cheek is buffy from chewing. Too cute. 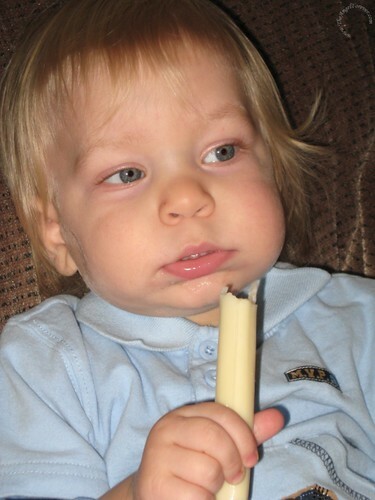 Ha, those cheese sticks ARE addicting! His face says it all! Happy WW!